The Communist government, which is atheist and opposed to religious freedom, talks about violations of ethics and conscience in the case of self-immolating Buddhist monks in Tibet. A local source instead blames the Chinese regime for destroying “the bases of our peaceful religion in Tibet”. This, i.e. suicidem “is what follows”. 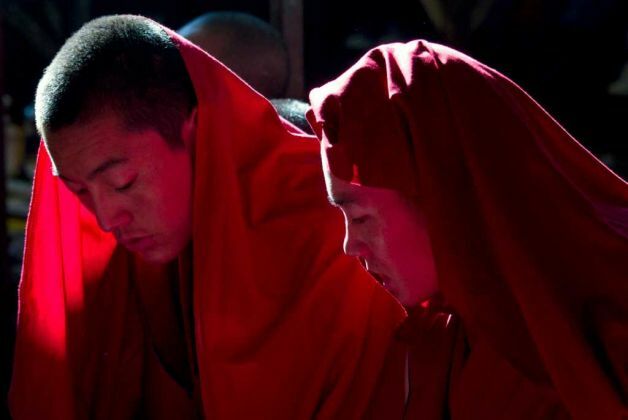 Beijing (AsiaNews) – China’s Communist government, avowedly atheist and opposed to religious freedom, has accused the “Dalai Lama group” of violating ethics by encouraging Tibetan monks to set themselves on fire. “The cases of immolation go against ethics and conscience and should be condemned,” Chinese Foreign Ministry spokeswoman Jiang Yu said during a press conference. Since the start of the month, eight Buddhist monks and one nun took their life by fire or tried to, all in Aba Prefecture, a prefecture with a Tibetan majority in Sichuan province, on the border with Tibet. Chinese anti-Dalai Lama attacks came after the head of Tibetan Buddhism held a daylong ceremony and fast in Dharamsala, where the Tibetan government-in-exile is based, to commemorate in a spirit of solidarity “our dead brothers”. The Tibetan Prime Minister Lobsang Sangay also took part in the function. “We pay homage to their courage and stand in solidarity with their indomitable spirit,” he said. The dead are Lobsang Phuntsok (20), Tsewang Norbu (29), Khaying (18), Choephel (19) and Nun Tenzin Wangmo (20), who all died by fire. Prayers were also said for Lobsang Kelsang (18), Lobsang Kunchok (19), Kelsang Wangchuk (17), and Norbu Damdul (19) whose fate remains unknown. Tibet’s prime minister called on the United Nations to send a team to find out what happened to these monks. All of the monks belong to Kirti Monastery, in Ngaba (Ngawa) City, which was founded a few decades ago by an abbot who had worked as a librarian at the Potala Palace, the Dalai Lama’s Tibetan residence. Ritual suicide is not part of Buddhist tradition or teachings. “Only those who follow the Diamond Way of Buddhism can tolerate it somehow, but that is very few people who no longer exist as a congregation,” the source said.